Dr Elie Fantel was born in Lebanon. 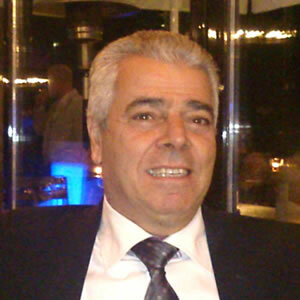 He studied as a scholar at the Medical School of the Aristotle University of Thessaloniki and graduated in 1982. He completed his ophthalmology residency at the AHEPA University Eye Clinic in Thessaloniki in 1987. At the same clinic he continued his training for 2 more years as a fellow specialising in medical retina, cataract and refractive surgery. In 1991, he was awarded his PhD from the Aristotle University of Thessaloniki. The subject of his dissertation is “Complications of Posterior Chamber Intraocular Lenses”. Since 1989 he worked in the General Hospital of Thessaloniki ‘G. Papanikolaou’ where he still serves as Director of the Eye Clinic. His main fields of interest are cataract, blepharoplasty and corneal transplantation surgeries. As examiner he had participated at EBO examinations in Paris (2006, 2007). Furthermore he participates constantly in the training of young vitreoretinal surgeons through courses, wet-labs and summer schools.